The Ultra Rich Comforting Cream, with its creamy and melting texture, is formulated with a high concentration of shea butter (25%) to answer the essential needs of dry to very dry skin, including sensitive skin types. 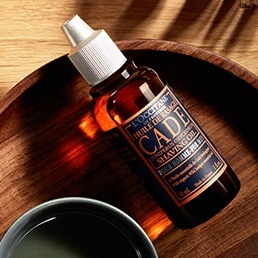 Lastingly moisturized (72h)**, skin is supple, soft and feeling of tightness is reduced. As protected against external aggressions, it stays comfortable all day long. Tested in extreme climatic conditions with significant hydration effectiveness.In Burkina Faso, women produce shea butter by hand. While one might expect this technique to weaken and damage the skin, in reality it leaves it incredibly soft. 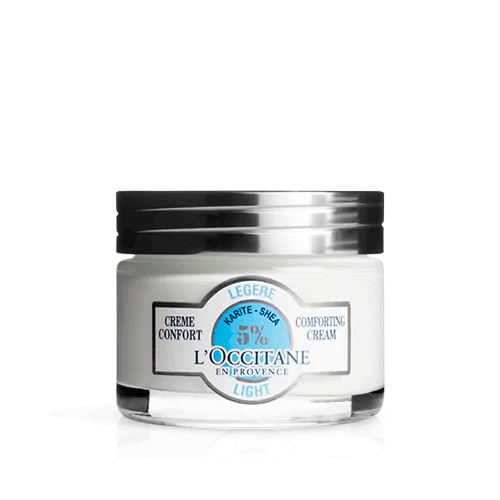 L'OCCITANE discovered that the shea butter produced in Burkina Faso using traditional methods is particularly rich in omega 6 and karitene. These molecules have exceptional properties and help to moisturize, nourish and give extra protection to the skin every day. I have sensitive skin, I find this face cream is really great for my skin. I always have this in. Normally I buy 2 and when I am halfway down the second jar I place another order. The jars are really useful when empty, wash them out and use them for many different reasons. So smooth, keeps my skin hydrated all day. 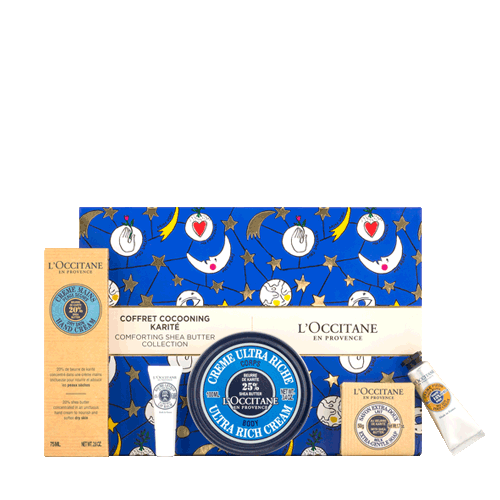 I’ve used L’Occitane products for years but somehow the Shea Ultra Rich Comforting Cream eluded me. I finally got hold of a jar. It’s heavenly. The texture is peerless. As is customary with most L’Occitane products, a little goes a long way. Smooth cover, no greasiness, and the skin drinks it in. The scent is over-the-moon lovely. You will not be disappointed.